Ladder Flaring Machine Rung Riveting Machine, Ladder orbital riveting machine, this machine is the one of step in ladder manufacturing, which used to fastening the ladder rungs on profiles by flaring the rungs. 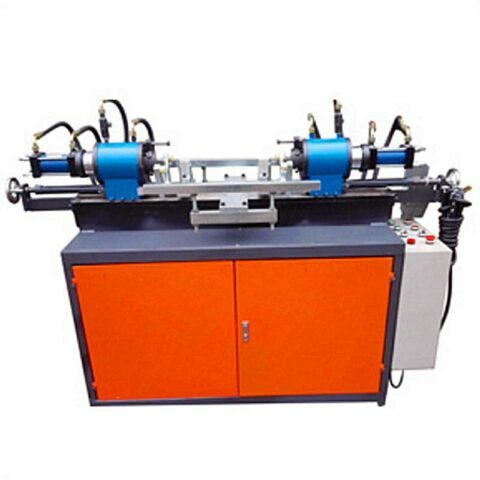 Ladder Flaring Machine Rung Riveting Machine, also called as Ladder rung crimping machine, Ladder rungs tube flaring machine, Ladder orbital riveting machine, this machine is the one of step in ladder manufacturing, which used to fastening the ladder rungs on profiles by flaring the rungs. In addition, the equipment can be designed as per customers’ requirement, from single side one riveting station to the automatical ladder making machine solutions. 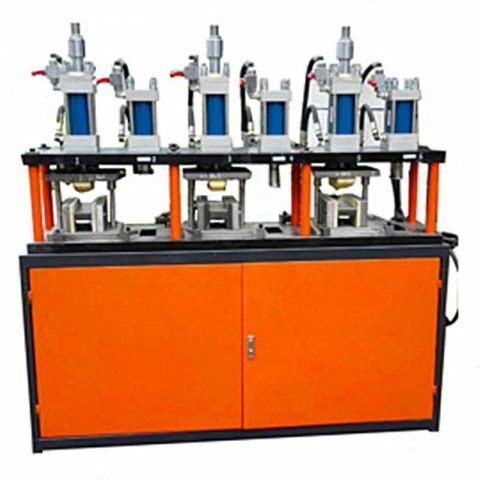 Ladder Flaring Machine Rung Riveting Machine is available for the variety of step rung shapes including square rung, rectangular rung, D shape rung, triangular rung, oval rung, waist circular rung, prismatic rung, etc. Especially Ladder Rung Crimping Machine Riveting Machine is suitable for processing extension ladder, folding ladder, platform ladder, sliding stairs, multi-purpose ladder, aluminum extrusion, extendable ladder, combination ladders, loft ladders, industrial ladder, A shape ladder etc. Available rungs types: Step rung shapes including square rung, rectangular rung, D shape rung, triangular rung, oval rung, waist circular rung, prismatic rung, etc. Ladder flaring machine is manual type ladder making machine, this machinery shall be used together with Ladder expanding machine. Ladder flaring machine can be designed as per customers’ requirement, single side one flaring head, single side multi-heads, double sides one pair of flaring heads, double sides multi pairs of flaring heads, expanding and flaring 2 in 1, customized solutions for each consideration. Best service, Reliable quality, Factory direct price, Fast delivery. Flexible solutions available for different customers requirement. Ladder flaring machine can be designed as single side, dual sides, 1 heads, 2 heads, 3 heads, 4 heads, etc. Simplified construction ladder machines, easy operation, and maintenance. Safe and reliable. 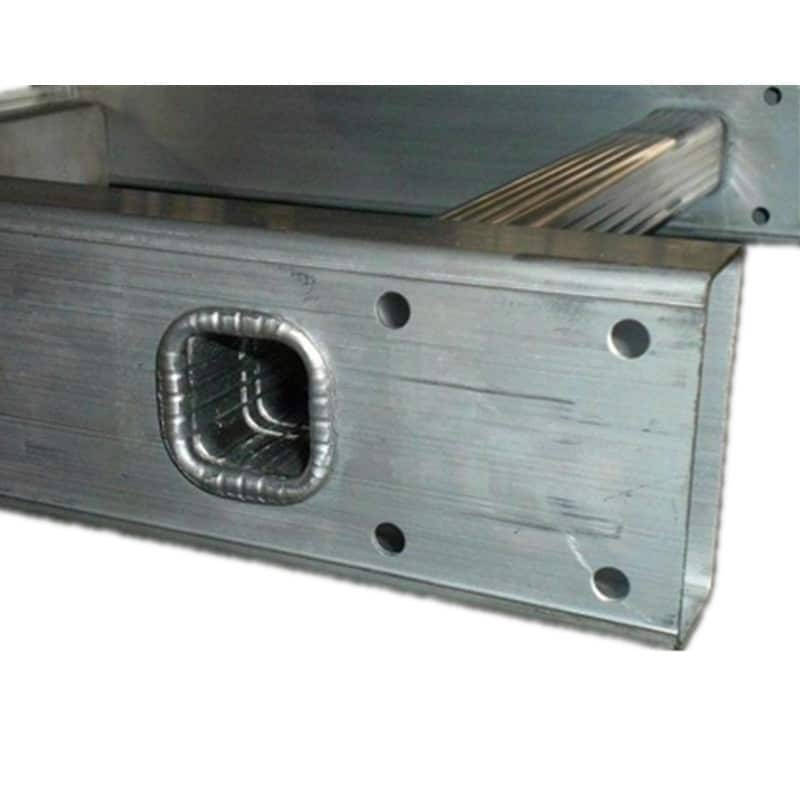 Available for different shapes of step rungs, by replacing customized flaring toolings. Fully adjustable functions for different sizes of the ladder. High-precision controlled by PCL system. Hydraulic driven, step-less pressure regulation, stable pressure, durable hydraulic units, reliable quality. Leading aluminum ladder machines manufacturer in China, over than 10 years experience in manufacturing the variety of aluminum ladder producing machines. 24 months warranty for ladder flaring machine, 12 months for flaring molds. Copyright © 2019 Rivetmach Machinery Industries Co., Ltd.